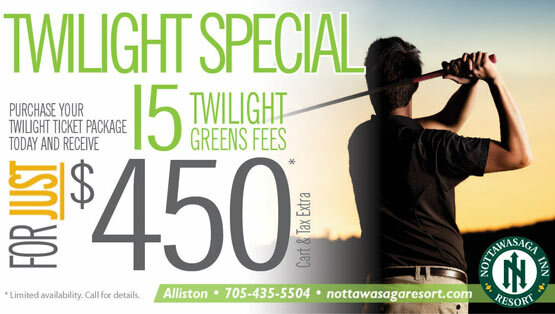 Come out and join us for a round on the challenging round of golf on the Nottawasaga Course and experience a true test of golf for every skill level. 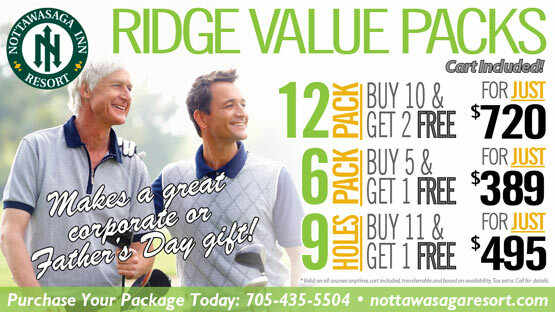 Purchase your Value Packs today, the more passes you buy the more you save! 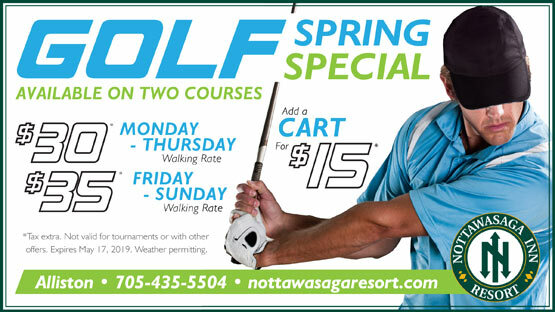 Available in both 18 and 9 hole quantities and can be used on both the Ridge and Nottawasaga courses. Includes Cart! Available until May 31, 2019. Limited quantities are available. Keep some, give some, or split them up however you like! Makes a great gift for Father's Day or for corporate gifts of appreciation.